Practicing in the areas of bankruptcy and business reorganization, Ms. Cioni has represented Ch. 11 and Ch. 7 Trustees, secured and unsecured creditors, examiners, creditors committees and debtors in a wide range of bankruptcy related matters and litigation. 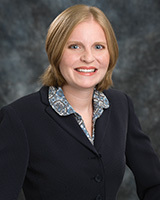 Ms. Cioni also represents plaintiffs and defendants in commercial litigation. Represent national banks and lenders in a wide variety of bankruptcy matters in both Ch. 11 and Ch. 7 bankruptcy cases ranging from Complex Ch. 11 reorganization cases to single asset Ch. 7 liquidation cases. Represent secured creditors in obtaining relief from the automatic stay, cash collateral disputes and contesting the confirmation of plans of reorganization. Represent creditors and Trustees in 363 sales. Represent Ch. 7 Trustees in a wide variety of bankruptcy matters including claims litigation and prosecuting avoidance actions under Chapter 5 of the Bankruptcy Code. Represent Ch. 11 Trustee in a wide variety of bankruptcy matters including 363 sales. Represent various creditors committees in complex chapter 11 cases in a wide variety of bankruptcy matters. Represent an Examiner in a Chapter 11 bankruptcy case. University of Illinois-Urbana/Champaign (B.A., 2002). The University of Texas School of Law (J.D., with honors, 2005). Admitted to practice before the United States District and Bankruptcy Courts for the Northern, Southern, Eastern and Western Districts of Texas. Co-Author, with Steven A. Felsenthal, of Buying and Selling Properties in Bankruptcy, presented at the State Bar of Texas, Advanced Real Estate Law Course, June 29-July 1, 2006, in San Antonio, TX.